Once you’ve identified the culprit, action can be taken to remediate the destructive or aggressive chewing tendencies. If your pups are like mine, boredom and attention-seeking are usually the reasons. Thankfully, there are many dog toys available that are highly durable to withstand even the most aggressive chewers. Indestructible Dog Chew Toys – Are They Real? 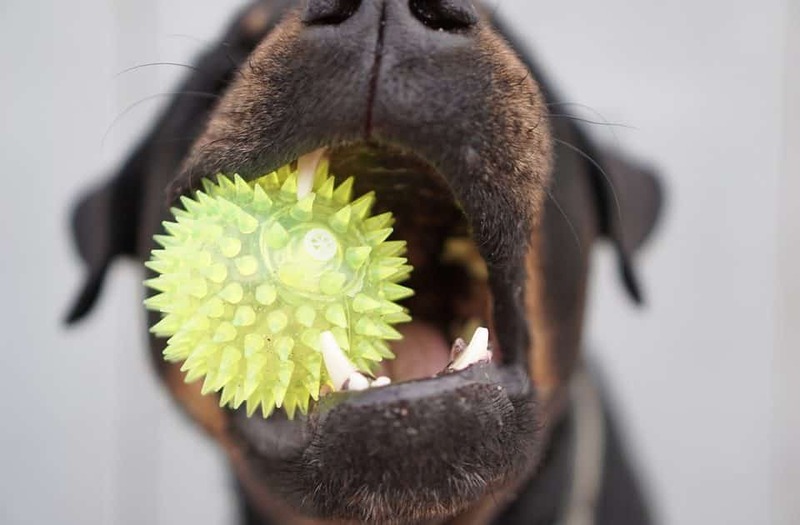 We set out to find the most durable dog toys that are the best for aggressive chewers. If your dog is a huge fan of plush dog toys and is an aggressive chewer, you more than likely will not find an indestructible plush dog toy. However, many plush dog toys out there are specifically made for aggressive chewing and can definitely withstand much more wear and tear than your ordinary stuffed toy. 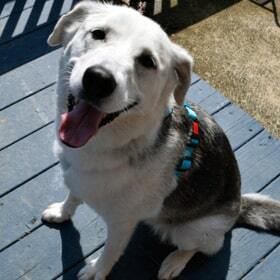 There are a few things you will want to look for when finding the best indestructible dog toy. Some of the most durable dog toys are made of solid, hard rubber and these are what we typically would recommend. However, there are definitely other tough materials that are used for dog toys, even including fire hoses! Size – not too small! When looking for a dog toy that will survive longer than 60 seconds it’s important to not purchase toys too small for your dog. Doing so will give your dog more bite leverage and be able to rip through it easier. If you have a large dog, take a look for durable dog toys specifically made for large dogs, such as the Kong Classic (large). You may already know that your dog seems to tear into one type of toy more than others. For example, my dog loves to play fetch – but if we are using a tennis ball, she will lay down and pull the fuzz off of it until there is nothing left. Because of this, we know to use solid rubber balls or Chuckit! brand fetching balls which are typically used with ball launchers. Now that you know why your dog tends to chew and what to look for in a dog toy, you’re ready to try some out! To help, we compiled a comprehensive list of our most recommended durable dog toys for aggressive chewers. Kong is widely known as one of the most durable dog toy brands on the market today. The Kong Classic is such a versatile toy that can be stuffed with peanut butter or treats, used as an aggressive chew toy, and even a game of fetch with unpredictable bounces. My dog mainly uses the Kong Classic when we put peanut butter in it to keep her busy and stimulate her mind; however, when there are not treats inside, she doesn’t play with it too much. Luckily Kong also sells tons of other types including regular tough balls, frisbees, rope toys, plush toys, and more. If you have an extreme case of aggressive chewing, Kong even sells an “Extreme” version which is sure to slow them down. There is definitely a durable Kong toy (maybe even indestructible!) that will work for your dog, which is why we placed it as the best overall tough dog toy. 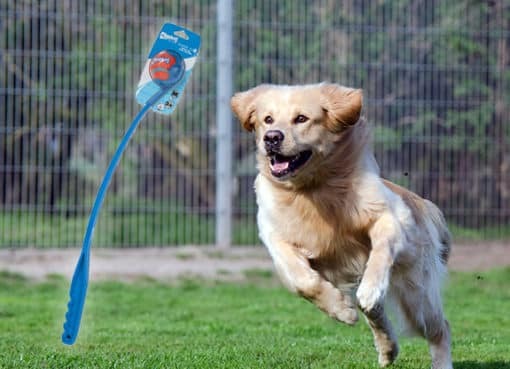 The West Paw Design Zogoflex Hurley toy is an incredible answer for those dogs who traditionally love dog bones such as Nylabone. 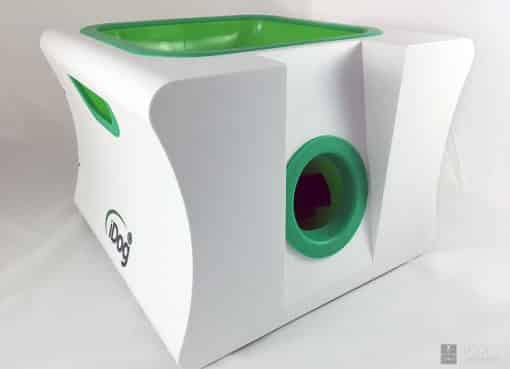 The Zogoflex line of toys are 100% guaranteed by the manufacturer to not sustain doggy damage and are BPA-and-Phthalate-free and non-toxic. The rubber is not entirely solid but is still incredibly tough. Even better, the toys float in water, have an excellent bounce, and server as a great fetch stick. Zogoflex also has a very large selection to pick from, ranging from balls to frisbees. The Goughnuts MAXX Power Stick stands up to the Kong Extreme. This thing is TOUGH. We’re talking 1.5lbs of toughness. This durable chew toy is 2.1 inches in diameter and 11.75 inches long so it is definitely intended for large dogs. Goughnuts also sells smaller (and still durable) toys if you do not have a large dog. Goughnuts toys even have a Chew Toy Safety Indicator. The company claims “if your dog chews through the outside wear layer to expose the indication layer, GoughNuts will replace your toy. They stand behind their dog toy with a full guarantee. Can’t beat that. The Snug Rubber Dog Balls are one of our favorite toys to play fetch with our dog. These virtually indestructible solid rubber balls are the same size as tennis balls that dogs know and love and also come in a fun array of colors. The rubber is FDA compliant, food grade, BPA-free, and extremely heavy duty. Even better, Snug will replace your balls absolutely free if your dog is tough enough to destroy them. Sounds like a challenge! While plush dog toys certainly are not indestructible, goDog creates one of the most famous plush dog toy lines thanks to their Chew Guard technology. Double-stitched seams add to the strength which will definitely outlast your standard plush toy. goDog creates a wide variety of stuffed animals in varying shapes and sizes. 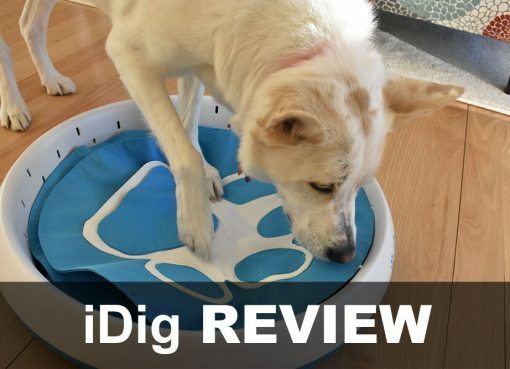 Best Dog Treadmill for 2019 – Exercise Without Leaving Home! I bought the black Goughnuts MAXX Power Stick for my 8 month old lab. He chewed the tip off in 5 minutes. Kong seems to be the best and toughest original “snow man” style holds up great. That’s impressive! I consider my shepherd mix an aggressive chewer and the Goughnuts MAXX is still intact. My pup has liked the goughnuts toys but one of our favorite brands was left off this list! The Mav4Life rope toys are awesome. My dog loves the Silly Willy by Mav4Life the most, basically an indestructible dog toy, even for my pitbull! I bought the goughnuts large ring(doughnut) for my 9 year old American Bulldog female. She was down to the red center in 2 hours. American Bulldogs can not have any rubber toys on the market. My dog has destroyed everthing shown and every toy on every website that says its indestructible or for the toughest chewers. There is no toy he cant destroy. He can eat a $70 antler in 2 hours. Yikes! What kind of dog? I agree. We have a 90lb Pit Bull. He can destroy any toy you put in front of him. The best lasting are the Kong Extreme (black) toys but very few options for him. We bought him 2 new Kong toys (red) a while back & he destroyed both of them in 15 mins. We buy Whimzee Large Alligator treats & store them in the freezer, he’s chewed them to nothing in 5 mins. Meat head! I bought my husky Kong toy with the rope in it. She had the ropes torn out in 24 hrs. Bought her the go dog dino, that lasted 10 minutes. Would love ideas on toys. She gets tired of ropes, kong bones and balls.